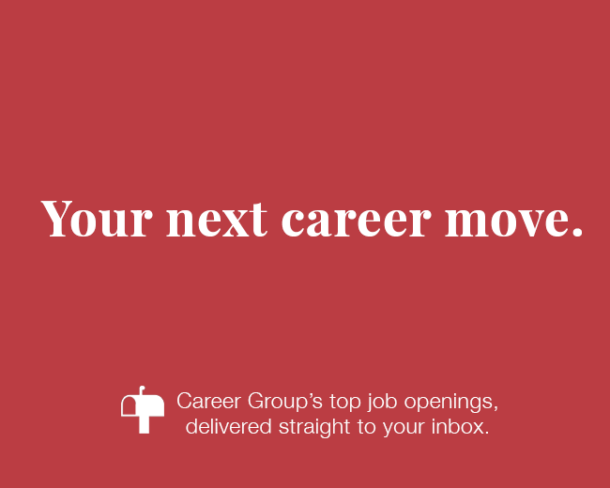 Career Group is the leading recruiting firm specializing in temporary and direct hire administrative placements. We started this business in 1981 and have led the way ever since, bringing all of our knowledge, network, and experience with us wherever we go. We work with leading businesses and top-tier candidates, constantly raising the bar to provide a premium approach to search that others can’t reach. We take the time to get to know our clients and candidates, so we’re in a better position to make well-informed matches that we know are going to work. I have been with Career Group since 2015, and have had nothing but positive experiences with both the staff and companies where I have been placed. I appreciate that Career Group has always been respectful of my schedule and skill set, and consistently finds opportunities for me that are challenging and fun! I’ve worked with a number of different placement agencies since moving to Los Angeles, but after finding Career Group I stopped working with everyone else. The committed team at CG listens to me and what I’m looking for in a placement, and makes sure to find the right fit. CG has placed me on varying postings that all have the same things in common: I’m treated with respect and my work is appreciated. I know when I ask the team at CG to find me work that they won’t rest until I’m placed. That’s why they’re the only team I want to work with! Career Group is such a great team to work with! I was referred to Career Group in 2013 by an acquaintance and they have been my temp agency of choice ever since. The team really works with me to find assignments that best fit my skill set and I’ve had the opportunity to work with some amazing people on really interesting projects as a result. Career Group has a great reputation for placing quality, professional candidates at high-caliber companies. If you represent them well, they will absolutely take care of you! Working with Career Group was an amazing experience. The team was so friendly and helpful from the beginning. They gave me advice on updating my resume, prepped me for my interviews, and followed up with me immediately after the interview. They made the usually tedious task of finding a new job totally enjoyable and stress free! I was placed in my dream job at a great company just weeks after my first visit to Career Group. I would recommend them to anyone! Finding a job in NYC can be an uphill battle. The last time I was on the market, I was fortunate enough to find Career Group. Their team is thorough, caring, and genuinely invested in helping candidates find the right position. They were responsive, understanding, and kept searching until we found the perfect place for me, and I couldn't be happier! Working with Career Group was a fantastic experience! Each person I worked with was professional, honest, dedicated, and friendly.It made me feel supported throughout the entire process. The team followed up after every interview and I felt there was a genuine interest in how I really felt about each opportunity. They have a top-notch network on clients and I had the chance to interview with some amazing companies. Ultimately, I found exactly what I was looking for and I am so grateful for the team at Career Group for helping me every step of the way! My experience with Career Group has been nothing short of amazing. Working with them has been a very personable experience. They took time to get to know my personality and preferences in order to place me accordingly! I am now a client that reaches out to Career Group when I need a temp! The position they placed me in allowed me to gain experience and knowledge in the field I want to work in. If you’re looking for a place that will put you on a path to success - don’t look any further! When I started looking for jobs after college, I didn’t know where to start. I was overwhelmed to say the least, so when a friend recommended Career Group, it sounded too good to be true. They created a roadmap that made the job search less daunting. Their professional guidance gave me confidence in my skills and taught me valuable interview techniques. It’s easy to see that everyone at Career Group cares about helping people find a job they love. It’s been over three years since Career Group helped me find my current job and I couldn’t be happier! Is a Temporary, Temp-to-Hire, or Full-time Employee Right for your Hiring Needs?